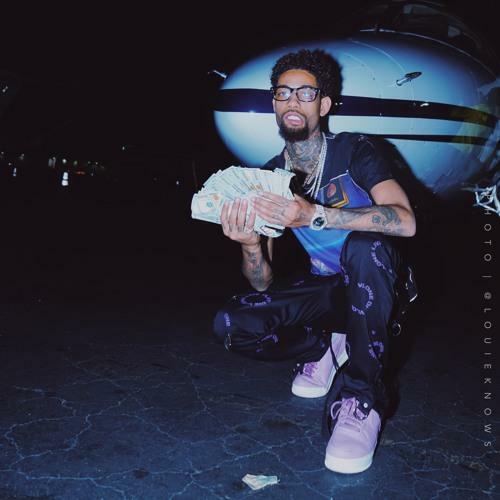 Home>New Songs>PnB Rock Songs> PnB Rock Has A Message For The Lames On "Stop Flexinnnnn"
Listen to the third release from PnB Rock today called "Stop Flexinnnnn." It’s been a minute since we last heard some original new music PnB Rock. With exception to some of his recent features, the last time the Philly artist impacted our site was back in November when he released his debut album Catch These Vibes, but thankfully that drought ends here today. After warning us that he had new music on the way last week, PnB Rock decides to stay true to his word and release not one or two, but THREE new songs on his soundcloud page today, including "It's Over,” “Thought I Was In Love,” & this one here right here "Stop Flexinnnnn." Based on the descriptions these songs appear to be some “unreleased” cuts from the vault, and probably won’t see life on any upcoming project, which he hinted at was dropping this July. Take a listen to the SladeDaMonsta-produced song and let us know what you think. SONGS PnB Rock Has A Message For The Lames On "Stop Flexinnnnn"